They are hungry and they’re everywhere. Of course, it helps that they’re gorgeous. We’re talking about mainland Chinese starlets who have suddenly made their presence felt in practically every major Chinese language movie release. Last year, there was Zhou Xun in The Banquet, Xu Jinglei in Confession of Pain and Fan Bingbing in A Battle of Wits. So far this year, Zhou has had double exposure playing two characters in Ming Ming, currently showing in cinemas here; Fan has starred in the horror show, The Matrimony; and Zhang Jingchu has appeared in Protégé. And no surprises — the same faces will be seen in upcoming blockbusters: Fan in the Donnie Yen action picture, Flash Point, Xu in the Peter Chan period epic, The Warlords, and Zhang in the Hollywood crowd-pleaser, Rush Hour 3. Another starlet, Liu Yifei, even beat her compatriots to the coveted role of Golden Sparrow in The Forbidden Kingdom, the eagerly-awaited collaboration between Jet Li and Jackie Chan. Liu was also in the news recently when she became the second Chinese actress, after Zhang Ziyi, to sign with William Morris Agency, one of the top three American talent companies, whose clients includes Julia Roberts and Mel Gibson among others. No question about it — mainland Chinese beauties are hot and they rule the roost once occupied by doe-eyed Hong Kong starlets like Gigi Leung and Charlie Yeung. And there’s hard-nosed economics behind it, according to Daniel Yun, managing director of MediaCorp Raintree Pictures. Referring to the reasons for Zhang’s casting in Protégé, of which Raintree was one of several financiers, he explained in an email interview with TODAY: “Since this is a co-production, there’s a quota of involvement for mainland Chinese talent. Although Yun declined to go into detail, pay is most likely a big consideration, too. These Chinese actresses on the cusp of stardom don’t make diva demands — well, at least not yet. And they don’t mind parts that are little more than the token love interest. For instance, Fan was given little to do in A Battle of Wits, while Xu’s role in Confession of Pain was clearly underwritten. The upshot: None of these up-and-coming names, apart from Zhou, really have the star power and clout to follow in the footsteps of trail blazers Gong Li and Zhang Ziyi. In other words, while landing a plum role in a big budget production is a no-brainer for these starlets, finding a part that actually shows off their acting chops is the only way to advance their careers. Zhou has, in fact, already begun doing this, diversifying her portfolio by appearing in the MTV-friendly Ming Ming. Star power: The most promising among the starlets, with enough trophies - Golden Horse, Golden Bauhinia and Hong Kong Film Award as Best Actress for Perhaps Love (2005) - to prove she’s no wallflower. 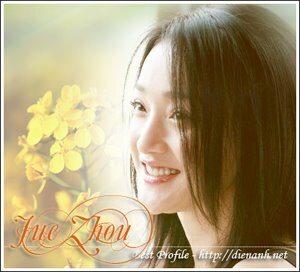 Zhou has also taken on a wide enough variety of roles to show off her acting chops, from art house fare like The Little Chinese Seamstress (2002) to martial arts films like The Banquet (2006). Her main stumbling block: Being typecast as a waif. Star power: At her age, Xu is no spring chicken. But her career will probably last longer than those of her peers because she has a side job as a director. She’s called the shots on three films: My Father and I (2003), A Letter from an Unknown Woman (2004), for which she was named Best Director at the San Sebastian International Film Festival, and Dreams May Come (2006). Star power: Touted by no less than Time magazine as one of Asia’s heroes in 2005, Zhang has done the rounds of martial arts epics (Seven Swords) and cops-and-robbers capers (Protégé). Heck, she’s even appeared in a Finnish production, Jade Warrior (2006). Fluent in English, this Central Academy of Drama graduate is poised for greater things. Star power: A graduate of the Shanghai Theatre Academy, Fan rose to fame playing a maid in the 1998 TV series, Huan Zhu Ge Ge. The sweet young thing has since appeared in The Matrimony and A Battle of Wits (2006). But Fan still hasn’t shown any real thespian quality. Star power: A graduate of the Beijing Film Academy, Liu is fluent in English, having lived in the US. She took on various TV roles before getting her big break in the 2003 TV series, Tian Long Ba Bu. Signing with William Morris Agency may snag her more jobs. Star power: Touted as the next Zhang Ziyi after director Zhang Yimou picked her from over 70,000 hopefuls to star in Happy Times (2000). But after appearing in 2046 (2004) and Dragon Tiger Gate, work for this Beijing Dance Academy graduate has dried up.